Dr. Thanh N. Nguyen, M.D., F.A.C.S. Tri-County Surgical Clinic Day, Loma Linda University Medical Center, Loma Linda, California (5/21/1992). – Intrauterine repair of surgically created defects in mice (lip incision model) with a micro-clip: preamble to endoscopic intrauterine surgery. Oberg KC, Evans ML, Nguyen T, Peckham NH, Kirsch WM, Hardesty; y RA. Cleft Palate Craniofacial Journal, 32(2): 129-37, 1995. – Laparoscopic scholecystectomy for gallbladder volvulus. Nguyen T, Geraci A, Bauer JJ. Surgical Endoscopy, 9(5):519-21, 1995. – Effect of ethanol on pancreatic interstitial pH and blood flows in cats with chronic pancreatitis. Toyama MT, Patel AG, Nguyen T, Ashley SW, Reber HA. Annals of Surgery, 225(2):223-8, 1997. – Pancreatic interstitial pH in human and feline chronic pancreatitis. Patel AG, Toyama MT, Alvarez C, Nguyen TN, Reber PU. Gastroenterology, 109(5):1639-45, 1995. – Role of nitric oxide in the relationship of pancreatic blood flow and exocrine secretion in cats. Patel AG, Toyama MT, Nguyen TN, Cohen GA, Ignarro LJ, Reber AH, Ashley SW. Gastroenterology, 108(4):1215-20, 1995. – Pancreatic interstitial pH regulation: effects of secretory stimulation. Ashley SW, Shwartz M., Alvarez C, Nguyen TN, Vdovenko A, Reber AH. Surgery, 115(4):503-9, 1994. – The effect of hyaluronidase and hyaluronic acid on capsular contracture in rats. Nguyen TN, Lee S, et al. The New York Regional Society of Plastic and Reconstructive Surgery, Inc., Resident’s Night. New York City, 3/3/98. Plastic Surgery Senior Residents Conference, Birmingham, Alabama, 4/2/98. – Intra-uterine cleft repair in mice using the Kirsch Micro-clip. Tri-county Surgical Clinic Day, Loma Linda University Medical Center, Loma Linda, California, 5/92. Success and Happiness, much like beauty, are largely related to perception and individual interpretation. Beauty, both inner and outer, undeniably affects one’s self-perception, confidence, and image. A more confident you will be more equipped to pursue personal happiness, contentment, and professional success. Thank you for visiting our website. As you journey through our website, you will see and understand how natural beauty can be enhanced by Dr. Thanh Nguyen, M.D., F.A.C.S., a Plastic Surgeon in Westminster, California. His passionate eyes and gifted hands will sculpt and transform your appearance to match your desire. Dr. Thanh Nguyen, M.D., F.A.C.S. is a double board-certified plastic surgeon (American Board of Plastic Surgery and American Board of Surgery) in Orange County specializing in cosmetic and plastic surgery procedures addressing all aspects of the body. His education and training in plastic surgery span some of the most prestigious medical institutions in the world, including the University of Irvine, University of Los Angeles School of Medicine, and SUNY Health Science Center at Brooklyn. Dr. Nguyen undertook rigorous residency and fellowship training for 9 years, completing full general surgery and plastic surgery residencies. The achievement and continued maintenance of double board certification reflect extensive education and training as well as a commitment to uphold the highest standards of plastic surgery techniques, theory, practice, and safety. Among Dr. Nguyen’s prodigious credentials are board certifications by The American Board of Plastic Surgery and The American Board of Surgery, Fellow of the American College of Surgeons, Member of the American Society of Plastic Surgeons, and The American Society for Aesthetic Plastic Surgery. 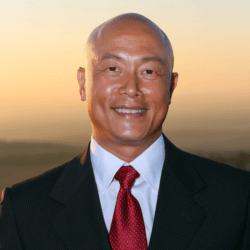 Founding his plastic surgery private practice in Orange County in 1998, Dr. Nguyen has established and maintained a commitment to exceptional care, superlative safety standards, aesthetically beautiful and natural outcomes, and advancing the art and science of plastic surgery. Dr. Nguyen has extensive experience and a refined technique in performing many cosmetic and reconstructive procedures specializing in facial rejuvenation procedures including rhinoplasty, blepharoplasty, face-lift, and brow lift. Also included is body contouring procedures such as tummy tucks, liposuction, and breast enhancement procedures including breast augmentation and breast reduction. As an Orange County Plastic Surgeon, Dr. Nguyen approaches every relationship with warmth, a passion for achieving beautiful, natural results, and a profound commitment to exceptional care that far supersedes standards of care. No two plastic surgeons are the same, and the plastic surgeon you choose absolutely makes a difference. If you are considering plastic surgery in Orange County, we invite you to experience what truly distinguishes Dr. Nguyen as one of the leading plastic surgeons in California. We look forward to meeting you and to warmly welcoming you to our practice. First Prize of Resident presentation of “Intra-uterine cleft lip repair in mice using the Kirsch micro-clip.” Tri-County Surgical Clinic Day, Loma Linda University Medical Center, Loma Linda, California (5/21/1992). Intrauterine repair of surgically created defects in mice (lip incision model) with a micro-clip: preamble to endoscopic intrauterine surgery. Oberg KC, Evans ML, Nguyen T, Peckham NH, Kirsch WM, Hardesty; y RA. Cleft Palate Craniofacial Journal, 32(2): 129-37, 1995. Laparoscopic scholecystectomy for gallbladder volvulus. Nguyen T, Geraci A, Bauer JJ. Surgical Endoscopy, 9(5):519-21, 1995. Effect of ethanol on pancreatic interstitial pH and blood flows in cats with chronic pancreatitis. Toyama MT, Patel AG, Nguyen T, Ashley SW, Reber HA. Annals of Surgery, 225(2):223-8, 1997. Pancreatic interstitial pH in human and feline chronic pancreatitis. Patel AG, Toyama MT, Alvarez C, Nguyen TN, Reber PU. Gastroenterology, 109(5):1639-45, 1995. Role of nitric oxide in the relationship of pancreatic blood flow and exocrine secretion in cats. Patel AG, Toyama MT, Nguyen TN, Cohen GA, Ignarro LJ, Reber AH, Ashley SW. Gastroenterology, 108(4):1215-20, 1995. Pancreatic interstitial pH regulation: effects of secretory stimulation. Ashley SW, Shwartz M., Alvarez C, Nguyen TN, Vdovenko A, Reber AH. Surgery , 115(4):503-9, 1994. The effect of hyaluronidase and hyaluronic acid on capsular contracture in rats. Nguyen TN, Lee S, et al. The New York Regional Society of Plastic and Reconstructive Surgery, Inc., Resident’s Night. New York City, 3/3/98. Plastic Surgery Senior Residents Conference, Birmingham, Alabama, 4/2/98. Intra-uterine cleft repair in mice using the Kirsch Micro-clip. Tri-county Surgical Clinic Day, Loma Linda University Medical Center, Loma Linda, California, 5/92. Reach out to us now. You can use any of the contact details provided below.